Even though there are many SEO tools available on the internet, Google Webmaster Tools is free, very useful and offers a lot of information for webmasters. There are many tools such as submitting your site map, internal and external links to your site, crawl errors, schema markup checking, mobile usability and many more statistics. 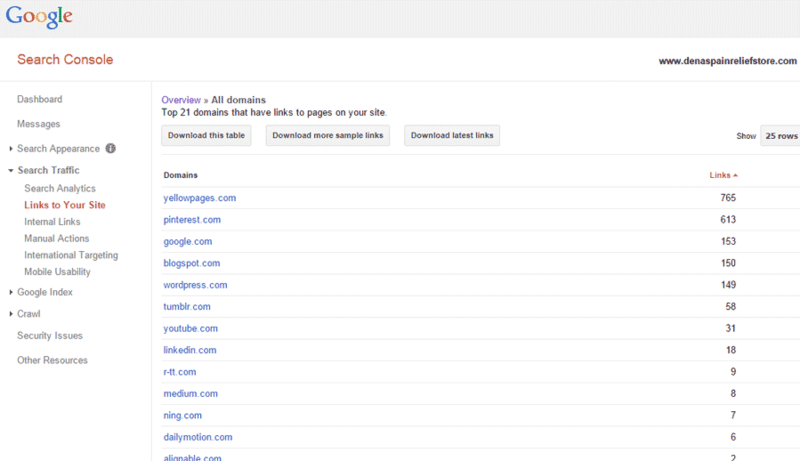 If you integrate Google Analytics with Google Webmaster Tools, there are even more tools at your disposal. Either advanced SEO experts or beginners can use this data for determining your website’s weaknesses or strengths in terms of Google search traffic. You will need a gmail address and then go to https://www.google.com/webmasters/toolsand sign in with your Google account. There is a verification process after you join so Google knows you are the owner of your website to use with the tools. There are a few ways to verify you are the owner of the website and the first one is to download an HTML file and upload it to the root directory of your site. Second method is through Google Analytics or add an HTML tag to the head section of your home landing page. After logging into your account, you will see the search console below. To add your website URL click on the red Add a Property button in the top right corner. After you add your URL, just click on the image picked up from your site and then you will see the Dashboard screen. This is where you can access things like keywords, craw errors, search queries, sitemap just to name a few. On the left is the search traffic section which includes search analytics, links to your site, internal links, manual action, international targeting and mobile usability. This section shows the keywords that led surfers to your website so you may want to consider using these long tail keywords. Also you can view how many clicks and impressions for each one of your site pages and from what country and if they visited from a mobile or desktop computer. Having a lot of quality natural earned backlinks along with an SEO optimized website can definitely increase your chances of obtaining a good SERP. This section shows how many backlinks you have, where they are coming from and your pages they are linking to. Here you can also disavow links you think are detrimental to your site. Not all of your links will probably show up here so most experienced SEO people will use tools like Ahrefs to get better statistics. This section allows you to view any URL errors on your website such as missing web pages or server problems in addition to crawl statistics for smartphone and desktop users. In this section is a list of keywords and their significance Google picks up from your website. If you click on any one of these keywords, you can view the number of occurrences and what web pages have them in their content. 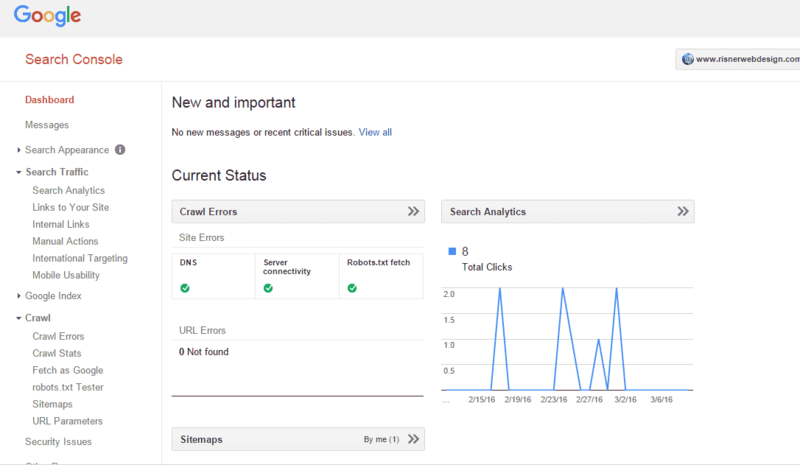 In the crawl section you can either add or test your sitemap and view the number of pages submitted and indexed. You can also submit a robots.txt file and test a URL to find out if it’s blocked. You can view mobile usability issues affecting your website. After mobile armageddon last year, websites that are not mobile friendly will be demoted in mobile search results. Mobile browsers will not render Flash content so visitors won’t be able to view a page content using Flash animations. You can see any errors here such as viewport not configured, content not sized to viewport, small font size or touch elements too close such as navigation links or buttons. There are many websites getting hacked every day which are transparent and harmful to users viewing these web pages. 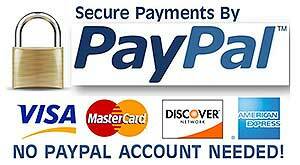 This section detects any security issues with your site. If you see that your site has been compromised, you should change your user name and password login information on your web server in addition to wiping your website files clean and upload your website pages. 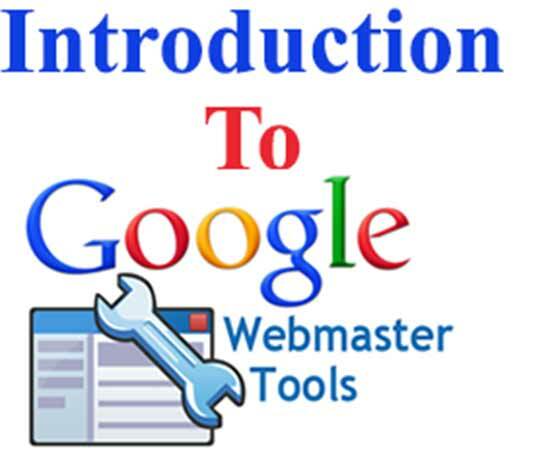 No doubt Google Webmaster Tools should be in your arsenal of analytics. You can make your SEO job easier by using this tool which has a lot of features.